The GIANT Japanese Spider Crab! Or Macrocheira kaempferi. 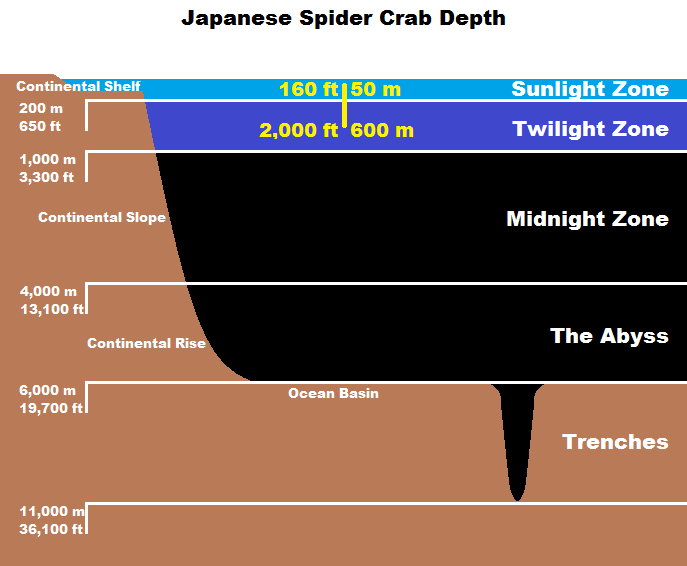 Or 高脚蟹, which means "tall-footed crab"... you can say that again! 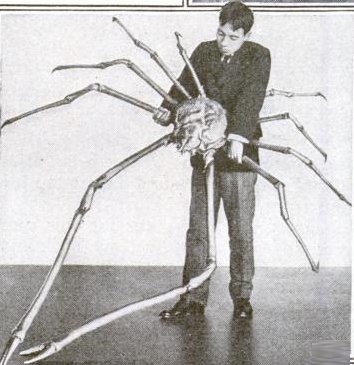 Japanese Spider Crabs are the biggest arthropods in the world in terms of legspan. Measuring 3.8 metres (12 ft) from claw to claw, they daintily tip-toe over the opposition. At 41 pounds (19 kg) they are not the heaviest and, with an actual body just 40 cm (16 in) wide, it's truly those sprawling legs that make their mark. As is so often the case, it's the males who have the overly unwieldy sticky-out bits. They have curiously puny claws at the end of stupidly long chelipeds, or what you might call 'arms'. In males these chelipeds are longer than the legs. Females have them shorter than their legs, appearing less nightmarish but more sensible. Nightmares are seldom sensible. A claw. 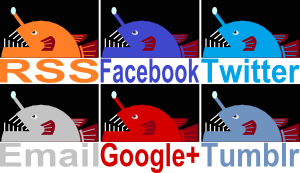 Doesn't it look like a bird that has a lot of chewing to do? 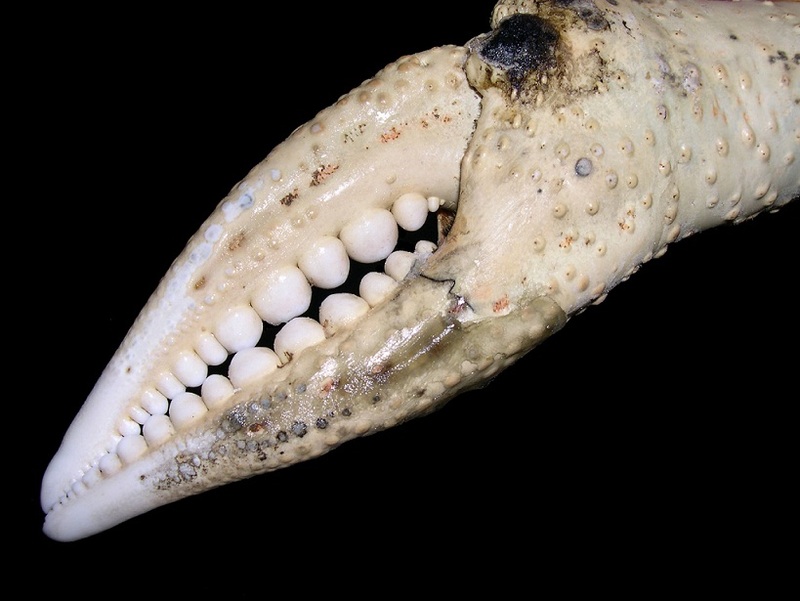 The claws at the end are really small in comparison, but they look like some kind of bird's beak full of molars. 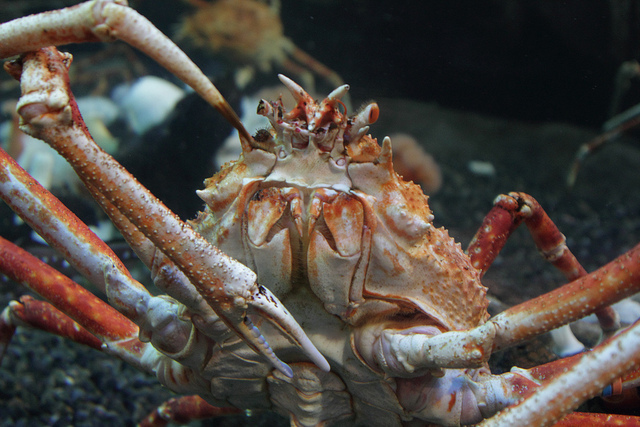 If you remember our very own Arrow Crab, these giants are close relatives. 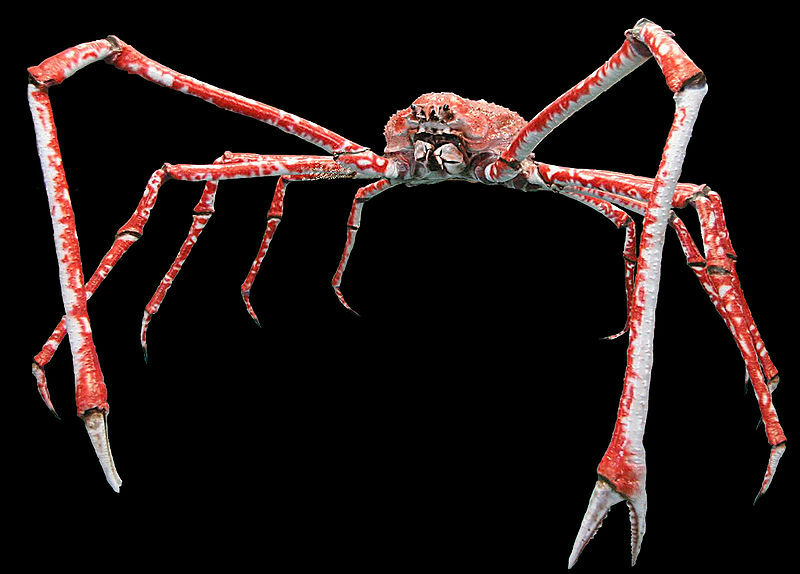 It's just that the Japanese Spider Crab looks to me more like a futuristic bomb disposal robot. They can live for up to 100 years so they might even see that happen. These crabs are found off the Pacific coast of Japan. It was always going to be Japan! 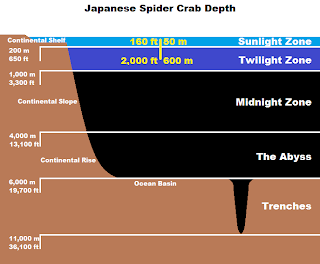 What their distribution lacks in surface area is perhaps made up for by depth; they can be found at depths between 50 metres (160 feet) all the way down to 600 m (2,000 ft). Their diet of shellfish and carrion scavenged from the ocean floor stands them in good stead, puts a foot in the door and gives them a leg-up to survival in the gloom of the Twilight Zone. Pure ballet! Chest out, stomach in, ready for action. Wherever they are, they always seem to have this wonderfully optimistic pose. The whole body is at an angle jauntier than Frank Sinatra's Fedora. They sort of remind me of Tintin. Or maybe that makes ME the weird one here? Woo! that was pretty great, thanks! That poor guy, hahah! Mostly the man. I'm sure in real life the crab fought with great honour and earned himself a place in history forever. The Japanese word for foot also refers to the leg. 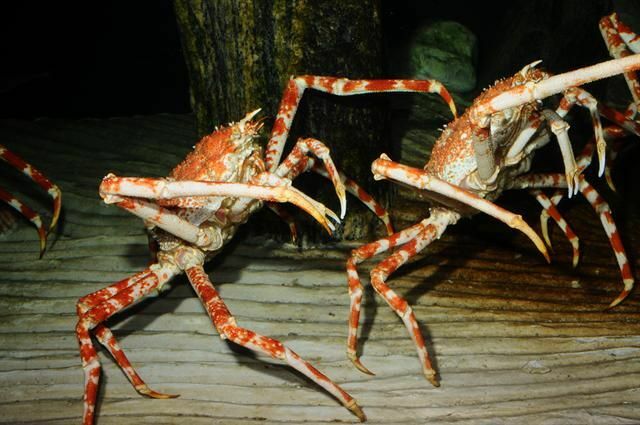 Their Japanese name could also be translated as Long-Leg Crab. Ooooohh! That's good to know and makes even more sense. Thanks, Califer! These look yummy! 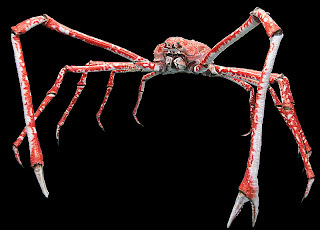 I love crab meat, especially the king crab from Kamchatka but I only eat it like once a year because I do not want to drive them into extinction! Still, I can't help but imagine how these long-legged yummies would taste like. Are they endangered (or close to)? They're sometimes harvested and they're getting less common. They aren't endangered, but I have no idea how close to being endangered they are. They have such a small range, I would've thought you could drive it to extinction quite easily if they were popular enough as food; perhaps there's a reason they're not that popular? I have no idea! Maybe you'll have to investigate that!